When I found out I was pregnant I immediately began harassing asking my mom if she would consider moving back to Tucson from Phoenix. It took a few months, but she was living in Tucson before Averi was born. And mom didn’t let me forget that she had moved back to Tucson to be there for Averi. Which meant she expected to get Averi. A lot. 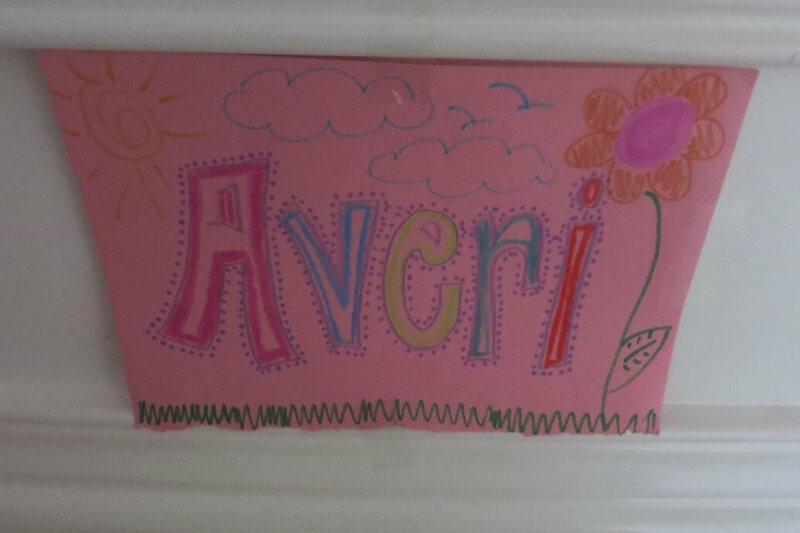 And since I am a good daughter, I gave her Averi. A lot. And in order to be fair, I also gave Averi to Michael’s mom too. And his stepmom. And by our last year in Tucson she was having sleepovers at her besties too. So Michael and I had a nice social life. It was pretty sweet. And I thought I did a good job of fully appreciating how lucky we were to have so many eager family members to watch Averi. Then we moved to Miami. And I really understood how fortunate we had been. We had no family living five minutes away, begging to watch her. We had no close friends we could leave her with. I looked into one of those babysitting places you see advertising on TV. Instead of making me want to hire a babysitter it made me want to be a babysitter. $14 an hour, with a three hour minimum guarantee. PLUS you had to pay something like $10 travel expenses each way (stupid toll roads) AND another $15 for meal expenses, even if you provided a meal. So before you have even your left house you are out almost $80!!! Needless to say, as we are only AZ Level, we didn’t go out much this past year and half. But a friend of mine from college moved to Ft. Lauderdale recently, and I really wanted a night out with him and his husband. So Michael and I bit the bullet and hired our first babysitter. It was a neighborhood teenage girl, highly recommended by a friend. She was great, and ONLY cost us $60 for 5 hours. Averi loved her. A little to much. All I heard the next day was how great she was. How much fun Averi had playing with her. How she hoped we would be going out again soon so the babysitter could come back. And did I see the sign they drew for her bedroom door? Now, my second place trophy proves that I am very content with not being the best. But this adoration for the babysitter was a little too much. But since I obviously have no intention of spending four hours playing games and coloring with Averi, I needed to offer something better. Cake for breakfast it is. Specifically, cake waffles. 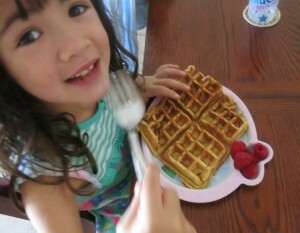 The mother had gotten me a waffle maker for my birthday, and it is seriously easy to use. 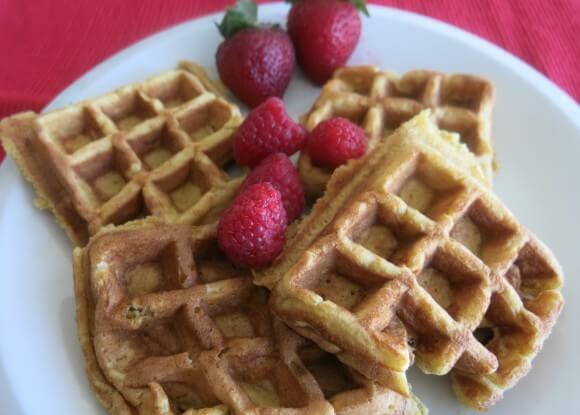 For cake waffles you just take a box of cake mix, any flavor, and prepare the batter as if you were making a cake. But then you pour cup fulls of the batter into the waffle iron. And get delicious waffles in like 2 minutes. Mix ingredients together. Heat and grease your waffle maker according to its directions. 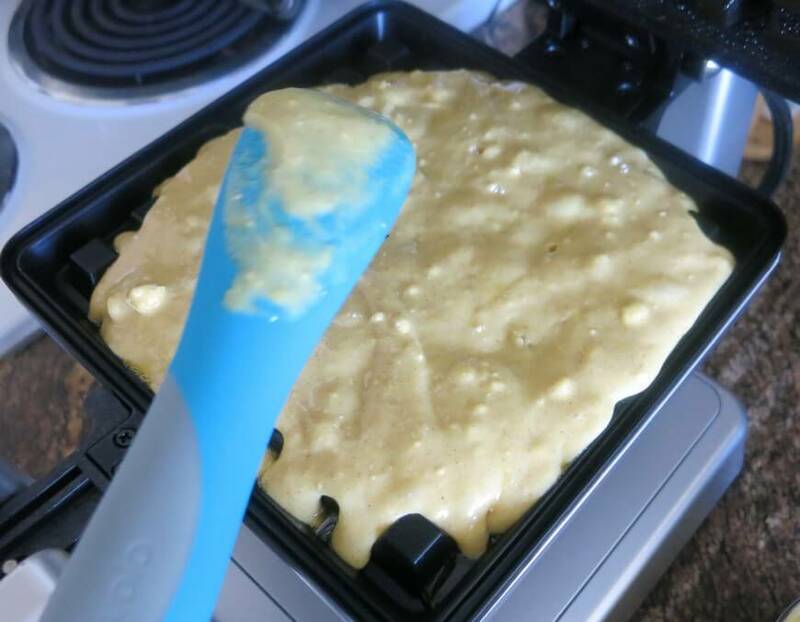 Pour cake batter into waffle iron and make deliciousness. Enjoy!